Roma Gąsiorowska – actress, fashion designer, coach, director, producer, and manager of culture. Founder of the AktoRstudio acring school, lecturer at the film school in Gdynia, originator and artistic director od W-arte! Open Art Space. Graduated from PWST National Academy of Theatre Arts in Cracow. Her lead role in "Ki" was awarded at Polish Film Festival in Gdynia (Golden Lions award) in 2011 and at the Film Acting Festival (FAF) 2012. Received the Złoty Szczeniak and Złota Kaczka (2011) awards for her supporting role in "Suicide room." 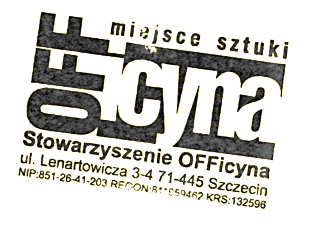 Has been working with Warsaw's Teatr Rozmaitości (TR Warszawa). Currently she opts for independence.